The Templar concentrates in one sub-faction all the violence of the generic Avalon faction. Yet, depending on the chosen hero, the style of play can be very different. Where a troop built around Lotharius is destined primarily for combat, with the disadvantages that this may entail, a troop built around Déicolus will sacrifice some of this violence for more versatility. Building a list is rarely evident in Templar. 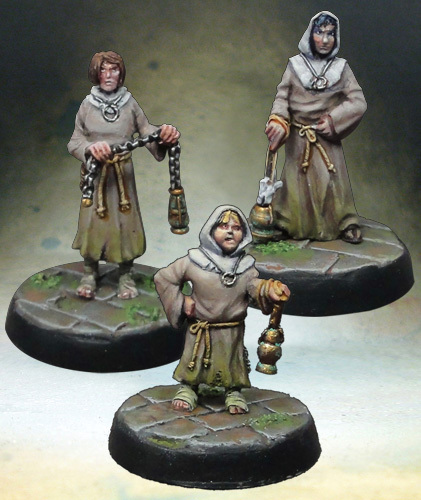 Troops as elites are quite expensive and choices will be made, especially between Novices and Auxiliary, and between Templar, Hospital and Collector-Monk. This construction must be well thought out, the Templar no longer aligning the resistant and low-cost profiles of the mother faction. He does not give must to the mistake. Well done, it is formidable, but if mistakes are made, the opponent can very easily exploit them to overcome the troupe. Advantages: There is only one: the Templar hits hard. It is even possible to align a warband 100% Expert: Brutal. Each model, except the Auxiliary, is dangerous in Close Combat. It’s also capable of a few surprises, especially among the supporters who are the Alchemist, the Hospital and the Auxiliary who bring strategic bursts to the parties. The Templar also plays on the apprehension it can provoke in the adversary who will hesitate to advance too directly. In addition, most models other than basic troops have the Fearless ability. Weaknesses: With no more Avalon’s generic faction, this sub-faction will have an average number of miniatures. In fact, given the synergy between them and the lack of resistance, losses can happen quickly and will be significant. Some primordial miniatures are also quite fragile, like the Hospital. The Templar may also have difficulty playing certain scenarios. Opponents can take advantage of it to avoid the fight and play it to the maximum, forcing the Templar player to disperse his troops. Deicolus is the major hero of the Templar. Like the Hospitaller, he is an excellent fighter inflicting high damage, but with very defensive and dissuasive abilities. Who wants to go to charge an Expert Parade by taking the risk to take an attack in return while seeing Déicolus regain Action Points? 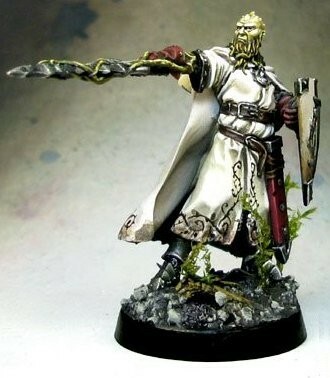 In fact, he is the only miniature of the Templar that can afford to get away from these allies and play solo. He really fears only the biggest enemy fighters. 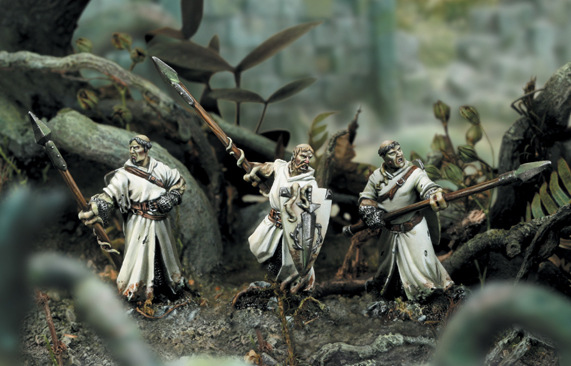 It also makes it possible to recruit an increased number of Templar Novices. 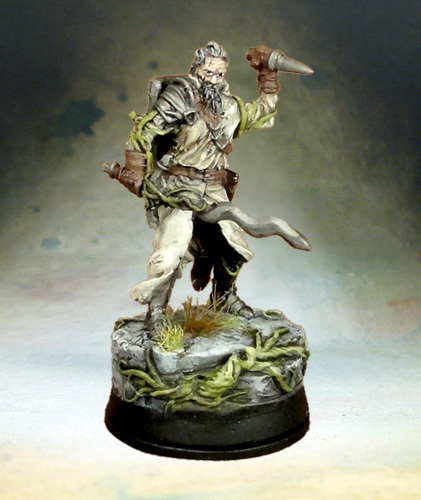 Last member of the trio of heroes with three Action Points for 40 points, Lotharius is specialized in the attack. Of a correct defense, proper to the Knights Templar, he is a machine to inflict wounds! Thanks to his Expert: Brutal and his high table of damage it will almost certainly touch. He associates himself effectively with the Templar Novices to whom it provides the Expert: Brutal, transforming them into a significant threat for all opposing models. 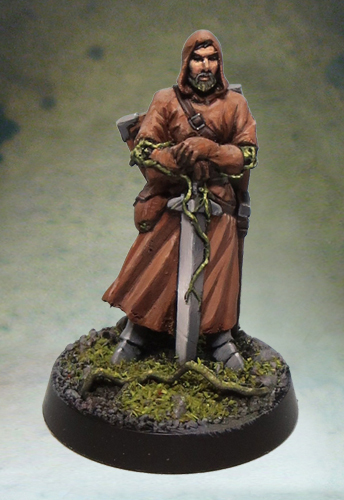 The Collector Monk differs totally from the classic role of an alchemist because he is a very honest fighter able to easily confront base troops or to finish wounded. He and his close allies ignore the malus dice, extra reason to bring him closer to the fighting. His formulas are used to increase the aggressiveness of the allies through the granting of the Expert: X skill or bonus dice. Alchemy and combat must be played together! 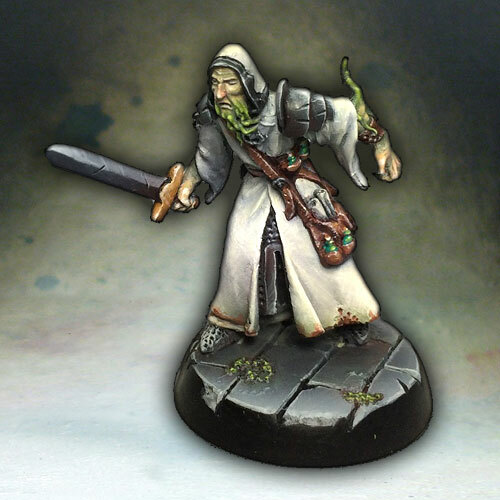 The most expensive base troop in the kingdom of Avalon, the Novice brings the valuable Long Reach skill, the only troop of the faction to possess, and has a very good damage table for a base troop. It provides a better base for the Kingdom of Avalon and is the base of the troops of the Templar sub-faction. Low but very discreet, the Templar Auxiliaries brings the extra strength of resistance that the sub-faction lacks, with nothing less than an effect similar to the Tough skill, but with some nuances. If it is daring to play three, one or two in a list can ruin an opposing offensive strategy, making survive your other miniatures. Be careful however to their placement, which must be well calculated. The Templar represents the elite fighter of the Kingdom of Avalon. Limited by its 2 Action Points, which is cheap for its price, it still has excellent statistics for an Avalonian. He also relies on specialized close combat skills that compensate for his reduced range of action. 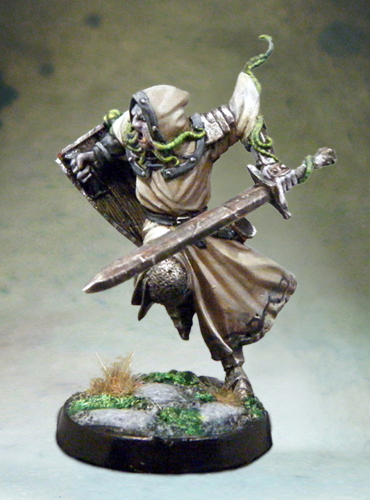 He makes a formidable hunter of elites or scary action miniatures. The Hospitaller is the healer of the sub-faction. His ability to transfer damage from allies to him can save a hero or Templar who would have stumbled upon him to bring him back into the fray. He is an excellent fighter despite his supporting role and his defensive abilities. However, care must be taken to protect it from enemy fire and troops, as it remains very fragile.